It took us forever to perfect our homemade salsa recipe, but we finally feel like it is perfect. This is wonderful to make late summer when tomatoes, peppers, and cilantro are ripe in the home garden. 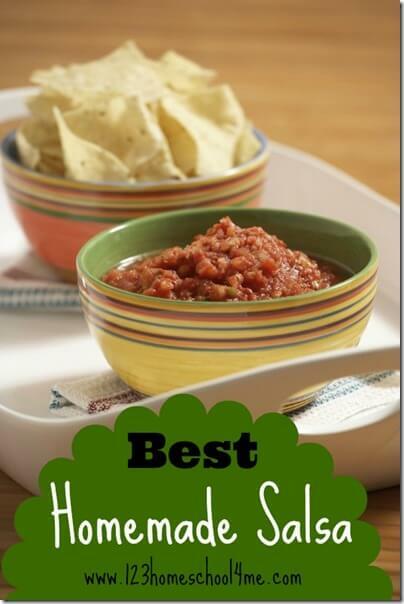 This salsa comes together in just 10 minutes and is DELICIOUS! You are going to wish you had more tomatoes! 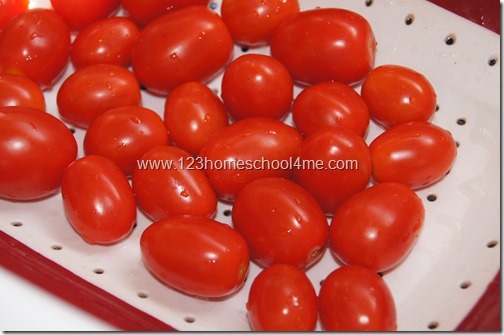 You can various different kinds of tomatoes – cherry, slicing variety (early girl, beefmaster), or roma variety (although we usually save these to make pasta sauce). Wash, but no need to cut. 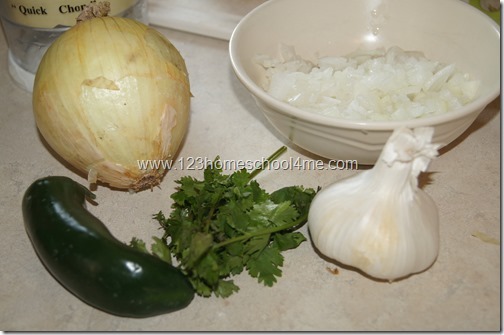 Chop 1/2 large onion, 2 TAB fresh cilantro, 2 medium cloves garlic, and 1 small (or 1/2 large) jalapeno. Note: Jalapenos add a wonderful flavor to the salsa. If you like milder salsa just make sure to remove all the seeds – they are what make it hot. 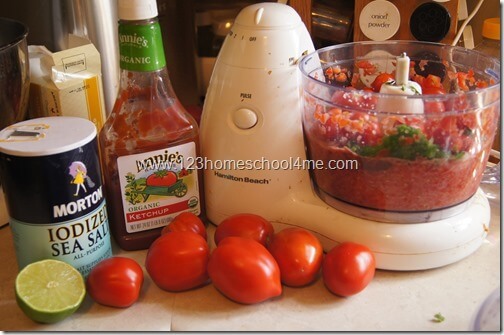 In a food processor put 2-3 cups tomatoes and process until smooth (10 seconds). Now add 1/4 cup organic (preservative and high fructose syrup free) ketchup, 1 teas sea salt, 1/2 lime juice, and chopped veggies. Add 2 cups more tomatoes. Process a few seconds only. If you like smooth salsa process longer, for chunky salsa process less. 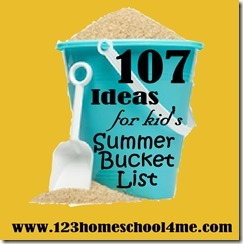 Chill if desired & enjoy! NOTE: You can preserve homemade salsa by putting it in sterilized glass canning jars and putting in boiling water that covers the entire jar for 15 minutes. Marshmallow Shooters – over 30 feet!